Rock Fest 2017 in Barcelona is Heating Up! Barcelona is commonly known for it’s great weather, beautiful countryside and culture. 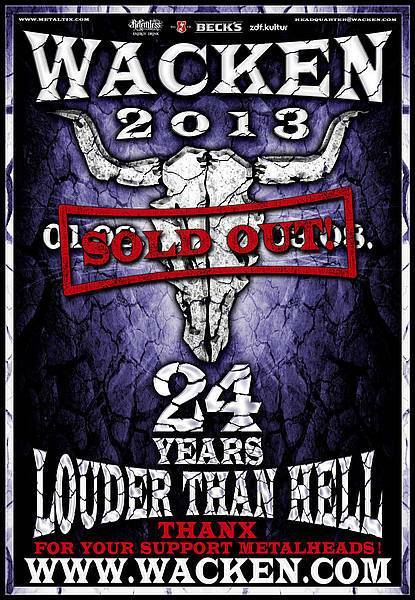 It is now becoming known for one of the best metal festivals held in Europe. Rock Fest 2017 will host some of the biggest acts in the hard rock and metal genres. Aerosmith, Deep Purple, Alice Cooper and many more. The three day festival starts June 30th and runs until July 2nd. You can follow the link in this article to get your tickets now and also find out more information about the fest. ROCK HARD, RIDE FREE! Italian power metallers SECRET SPHERE have been confirmed for this year’s edition of the Wacken Open Air Festival, set to take place August 1-3, 2013 in the small town of Wacken in Schleswig-Holstein, northern Germany.